“Suburbia” (1984, Shout! Factory) How to Make a Punk: Bill Coyne (RIP) flees his abusive mom and finds something like a new family – as well as more trouble – among the forgotten kids living in an abandoned Los Angeles tract house. Low-budget but very effective docudrama from writer-director Penelope Spheeris gains considerable versimilitude by using non-actors (some of whom, like Chris Pedersen and Flea, went on to media careers) and some of the grimier parts of Downey and Norwalk as its stars and location; save for a few bits of exploitative nonsense at the behest of producer Roger Corman, it feels as unsentimental and honest as it did upon its release. With live performances by D.I., T.S.O.L. and the Vandals and a soundtrack featuring the Germs; Shout! Factory’s Collector’s Edition Blu-ray includes two unvarnished commentary tracks by Spheeris, one with producer Bert Dragin and co-star Jennifer Clay (aka Sheila), and plenty of promotional material (trailer and TV spots). 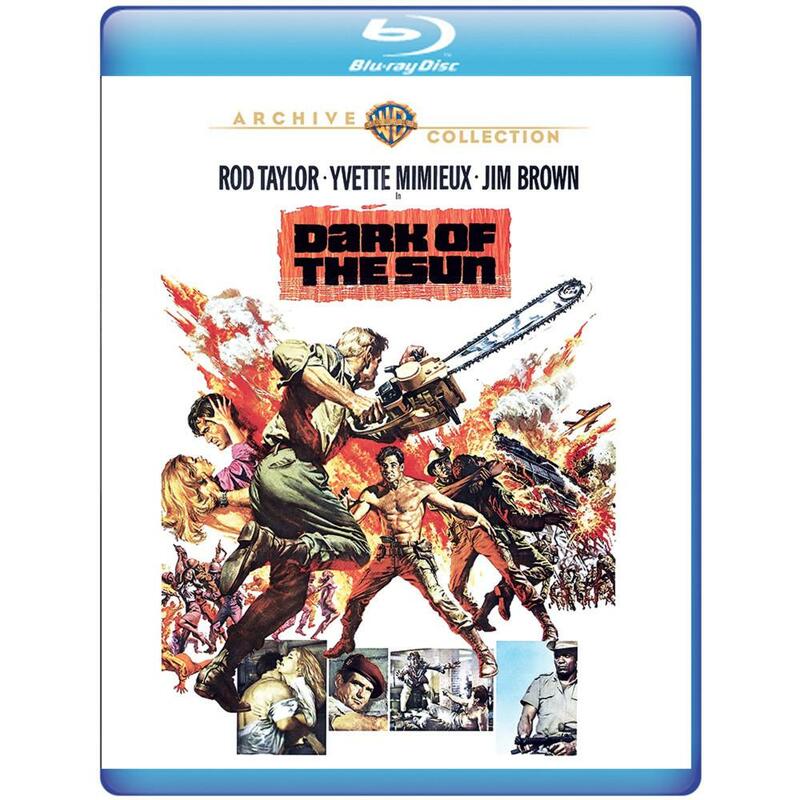 “Dark of the Sun” (1968, Warner Archives Collection) Under the pretense of a rescue mission, mercenaries Rod Taylor and Jim Brown are dispatched to retrieve a fortune in diamonds from territory in the Congo overrun by sadistic rebels. 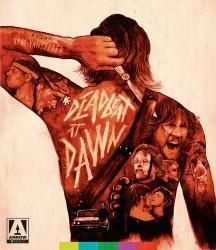 Brawny, men’s magazine-styled action-thriller from British cinematographer turned director Jack Cardiff has a cult following for scenes of unmitigated (for the time period) violence, with the height of insanity coming in a fight between Taylor and chainsaw-wielding ex-Nazi Peter Carsten; its politics (and excesses) are questionable, but it’s an undeniably gripping experience, with a durable cast that includes Yvette Mimieux and Calvin Lockhart and a wonderfully doomy, Morricone-esque score by Jacques Loussier (from which Quentin Tarantino borrowed for “Inglorious Basterds“). Warner Archives’ Blu-ray features enthusiastic commentary by screenwriter Larry Karaszewski (“Ed Wood”), Josh Olson from “Trailers from Hell” and podcasters Brian Saur and Elric D. Kane. 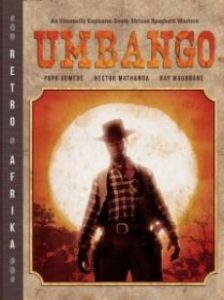 “Umbango” (1985, Indiepix Films) Cowpokes Jack and Owen find that their plan to establish a ranch in a KwaZulu village is opposed by town boss KK and his gang of thugs, and decide to settle things as they did in the American Old West. South African feature made during apartheid rule with an all-black cast by prolific white director Tonie Van der Merwe (“Joe Bullet“) is an affectionate and uncomplicated nod to Hollywood horse operas and benefits from a larger-than-usual budget that allows for modest but effective sets, props and costumes. “Umbango” and “Revenge” – another Zulu-language Western from ’85, and even more simple in story and execution – are one of a handful of South African titles making their Stateside debuts through Indiepix’s Retro Afrika imprint; all are energetic mash-ups of American genre film tropes and African sensibilities. 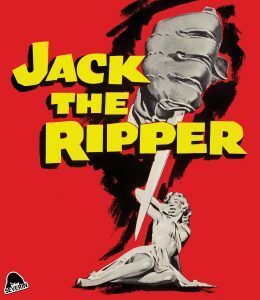 “Jack the Ripper” (1959, Severin Films) American policeman Lee Patterson teams with British inspector Eddie Byrne to stop the titular madman, who is preying on the barmaids and dance hall girls of London’s Whitechapel district. UK-made horror-thriller is an evergreen favorite among the psychotronic faithful for its surprisingly vicious murders and a grisly closing gimmick in the U.S. edit – the image turns from black-and-white to vibrant color when one character meets a horrible fate – and for its creators: screenwriter Jimmy Sangster, who penned many of Hammer’s best titles, and producers-directors-cinematographers Monty Berman and Robert S. Baker, who oversaw many well-loved British TV series (“The Saint“) and ’50s chillers (“The Crawling Eye“). 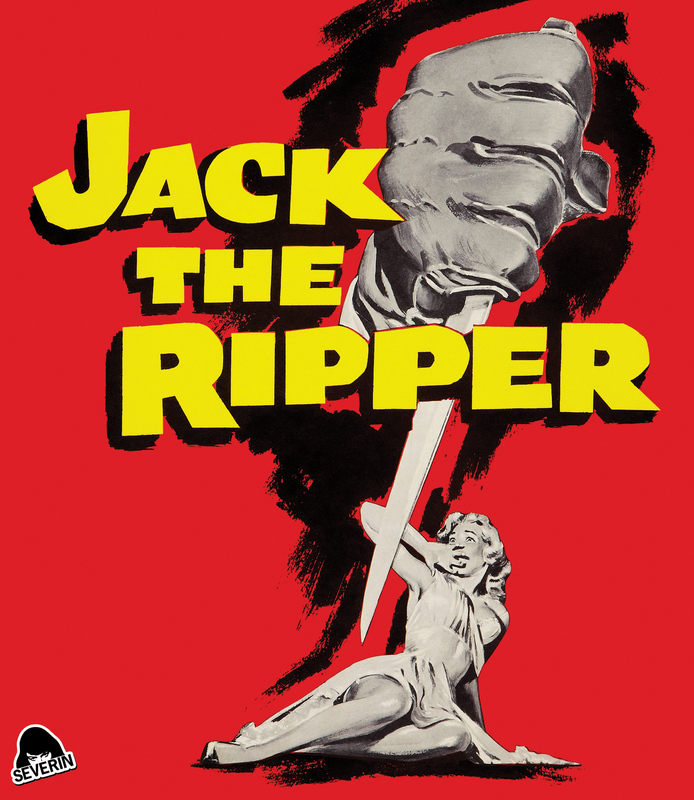 Severin’s Blu-ray offers both the American and British versions, which have different openings and soundtracks (jazzmen Pete Rugolo and Jimmy McHugh handle the Stateside score); Baker, Sangster and AD Peter Manley contribute commentary, and alternate “continental” (read: spicier) takes, a US trailer and an interview with Ripper movie scholar Denis Meikle. And, briefly, from Filmrise: the Turkish thriller “Inflame” (2018) benefits from the performance of lead Algi Eke as a news station editor whose nervous breakdown seems to coincide with the country’s new purges of free speech. Ceylan Ozgyn Ozcelik‘s directorial debut works best when focusing on depicting Eke’s fragile mental state. More successful is the Hong Kong comedy “Free and Easy” (2018), Geng Jun’s quietly cracked look at life among a group of eccentric small time criminals and lawmen in an unremarkable Chinese town.